Q: Could you provide our readers with a brief introduction to MediBee? A: Through data-based insights, we want to explore why medicine consumption is increasing on a global scale, whilst offering digital tools and social support to those affected in the now. 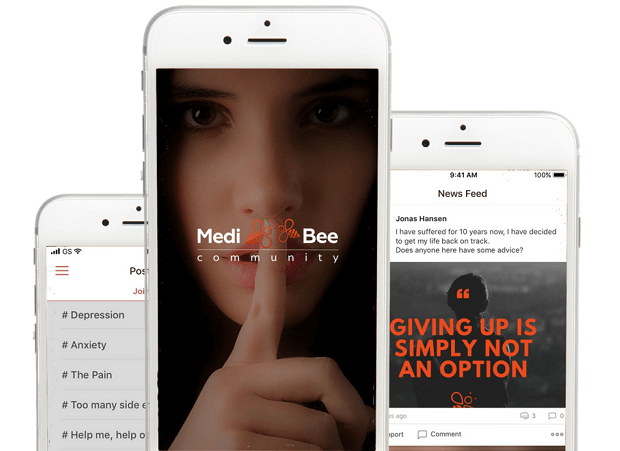 The idea behind MediBee came about in early 2017, and our team has grown from one person to five amazing people with both academic, professional and personal experience and knowledge within the field of mental health and medicine dependency. In combination with a strong volunteer community, we represent an ambitious international initiative that sheds new light on the contemporary understanding of mental health and well-being. We are in the process of developing two app-based solutions. 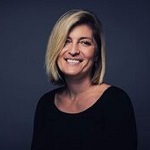 The first represents a personal approach to medicine tracking and mental support during treatment that aids patients when health care professionals are out of reach. The second app is a supplement to the former, but nevertheless, their functions are highly complementary; it connects patients in a digital space named ‘MediBee Community’. It can be accessed 24/7 and represents a social network that offers support through likeminded people. The MediBee team has used a lot of effort to find a visual and rhetorical framework that inspires a social community where everybody feels equal and are inspired to find others who share their experiences and struggle with similar challenges. This is how the Bee-universe came in to the picture. Our initiative comprises a vibrant umbrella community with a mental health focus that gathers individuals and groups, who are currently seeking support online, in a single safe setting. Right now, we are experiencing an overwhelming amount of positive feedback from people from around the world who follow our journey towards developing the MediBee-concept and are looking forward to the future app releases. Q: Who are the primary users of MediBee and what are some of the key challenges you are helping them solve? A: Our mission is to support individuals who are personally affected by the worldwide challenge of medicine dependency, subsequent side-effects and poor mental health. Every single year, millions of children, youngsters and adults, especially in the western world, are affected by addictive and high-risk prescription medicine; they are harmed by medical side-effects, and experience different degrees of depression and anxiety alongside harmful medical withdrawals. These are the primary users of MediBee. When developing features in our technologies, we aim to inform, support and empower our users in ways that makes sense for them on a personal level. This can be by gaining a visual overview of symptom and well-being fluctuations over the course of an individualized treatment program, or by connecting with others who rely on high risk prescription medication as a way of relieving pain or dealing with anxiety, depression or other mental health issues. Q: Why is there a need for MediBee Care and the technology platforms the startup is providing? A: Each year millions of people are affected by mental health challenges. Poor mental health is a global issue that not only affects individuals with psychological diagnoses – also the ones close to them are affected. Right now, we as a society lack valuable solutions that can enlighten us on how this global challenge can be limited and prevented. Each day, thousands of people in the Western world experience fatal consequences of medicine dependency; their daily lives are inflected by prolonged side-effects, withdrawal injuries and wrongful tapering. Many of these experiences relate to the increased usage of opiates, painkillers, antidepressants and benzodiazepines in the Western population. There has never been as many medicine prescriptions as seen today. Simultaneously, medicine-related deaths and suicides associated with clinical dependencies and medicine addictions are peaking on an international level. In MediBee, we believe this is a global challenge that must be addressed. We aim to do so by developing two different technological platforms centered around better communication – on professional, social and personal levels. The purpose of both apps is to increase safety and support for people who are dealing with mental health problems and whose daily lives rely on medicine. Q: What is MediBee Community? The MediBee Community sets out to create awareness about mental health challenges and break the silence related to medical dependencies. In collaboration with our followers, we have started the movement of #BeeToo; a tag that is currently spreading on Facebook and is for everybody who wants to address the importance of mental health. This is the place to #Bee for people who have first-hand experiences with mental health challenges and consumption of high-risk prescription medication. 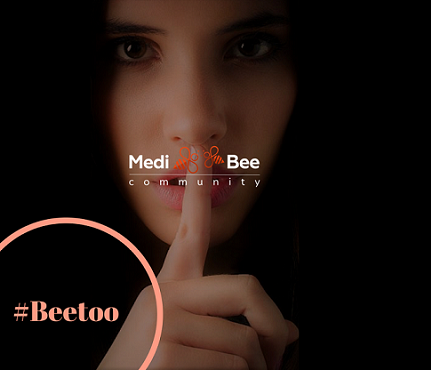 In MediBee Community, it is essential that members feel welcome and safe. To make this possible, we are recruiting key volunteers who are currently administrating influential digital support groups. Their involvement in MediBee Community help us create a valuable support experience in the social app, as these volunteers play vital roles; they are going to facilitate discussions, make new members welcome, establish credibility, and work as quality controllers by helping us ensure that no members are harmed when sharing information and using the app. We wholeheartedly believe that: “community is key”. Q: What about MediBee Care? A: MediBee Care is a free med tech app that helps users track their medicine intake, personal symptoms, side-effects and overall well-being during their medical treatments or withdrawal processes. It reflects an efficient tool for enhancing the communication between patients and health care professionals that evolves around measuring and tracking medicine-related behaviors on an individual level. Through real time and visual control of daily medicine intake, symptoms and well-being, MediBee Care is able to provide accurate information about the individual patient, and simultaneously reveal subjective patterns related to medicine intake. The goal is to generate personal insights that can be used proactively in order to avoid negative consequences of medical treatments. However, in MediBee, we believe that such knowledge can be used on a larger scale too. In fact, it can become extremely valuable and even more proactive that way around. Picture this sequence: a) MediBee Care is used by patients and doctors in nations across the world, b) we can cross-reference personal insights and detect patterns in specific populations, and thereby c) create reliable and trustworthy alternatives to standardized practices together – merely by sharing statistical data. MediBee Care is a simple, yet advanced, patient-based tool that increases feelings of the safety and quality assures during individual medical treatments. From a professional perspective, it is a remote cost-efficient tool that stands out from resembling digital solutions on the market. We believe MediBee Care is the first step towards a safer future for people who rely on medicine. A: MediBee Community will be one out of hundreds of social media sites with the aim of connecting people online, but unlike other social media channels, our target audience represents a niche; people who consume prescription medicine and experience psychological side effects. While many of our features will be similar to the ones found on Facebook, we accommodate the needs of our sensitive target group; people who are in pain, feel depressed or lonely – a group of people who need to find out that they are not alone. Taking this into account, fundamental features for us are: a) posting of text and visual content, b) commenting, c) supporting (instead of liking) and d) sharing exclusively in groups. We believe these features are vital in order for us to let likeminded individuals meet. Q: Do you have any plans to raise funding from investors? A: Yes, we are actively seeking our ideal investor. We need an investor, who have more to give to the company than funds alone. Smart money, if I can say it like that. We want an investor with connections, who can bring us closer to our goals for the next few years. Therefore, we are only interested in funds that really can put MediBee on the map. We want to become an influential brand. An investment in MediBee, is a social investment in a solution that challenges the societal issue of medicine dependency that affects millions of people every day. It is an investment in something that has an impact on the future of our children. From a business perspective, MediBee can lead to reduced costs for various sectors, including medicine, health care, health insurance as well as public services and governments. In other words, is MediBee a win-win social venture; it is life-changing for patients and an economic health-based gamechanger. Q: What can we expect from MediBee in the future? A: You can expect a vibrant, growing and transparent social venture lead by a strong and dynamic team. Our vision to modernize health tech field by drawing on both social and medical aspects of treatments; we are creating a holistic concept by building up both MediBee Community and MediBee Care – one supporting the other. You can expect that MediBee Care & Community will become a highly trusted and appreciated social brand and tech-company on an international scale within 24 months. As parts of the current app development, MediBee Care is cooperating with leading Scandinavian scientists, the Danish national patient’s portal, data experts and patient organizations. The app will be available in 2019 and provide services for both patients, health care professionals, hospitals and treatment centers – something that the current prototype (which can be downloaded now) is not offering. Based on feedback from our current collaborations, we are extremely confident that MediBee Care will be validated and implemented in Denmark and Scandinavia over the next year. We are also confident that foreign investors, investment ventures and health care industries will spot the promising potential of MediBee Care sooner or later. Our combined MediBee concept truly represents a unique approach to knowledge generation that involves gamification, social interaction, community support, professional expertise. complied with professional/personal digital support, within mental health. We are still an early stage venture, meaning that our success is relying on that others’ support. Right now, both apps are prototypes and are currently being enhanced, and we are seeking funds for out upcoming stages. We have many futuristic plans and upcoming features – all of which we consider vital components of our concept that can contribute to bringing about a measurable social and health-related change. Our technology platforms require a high level of investments, as well as soft funding support, in order for us to achieve our vision for MediBee. In order to become a trustworthy, patient-based and influential brand with the ability to change current standards of health care and influence the lives of millions of people in a positive direction, we are looking for partners who can help us take MediBee to the next level.